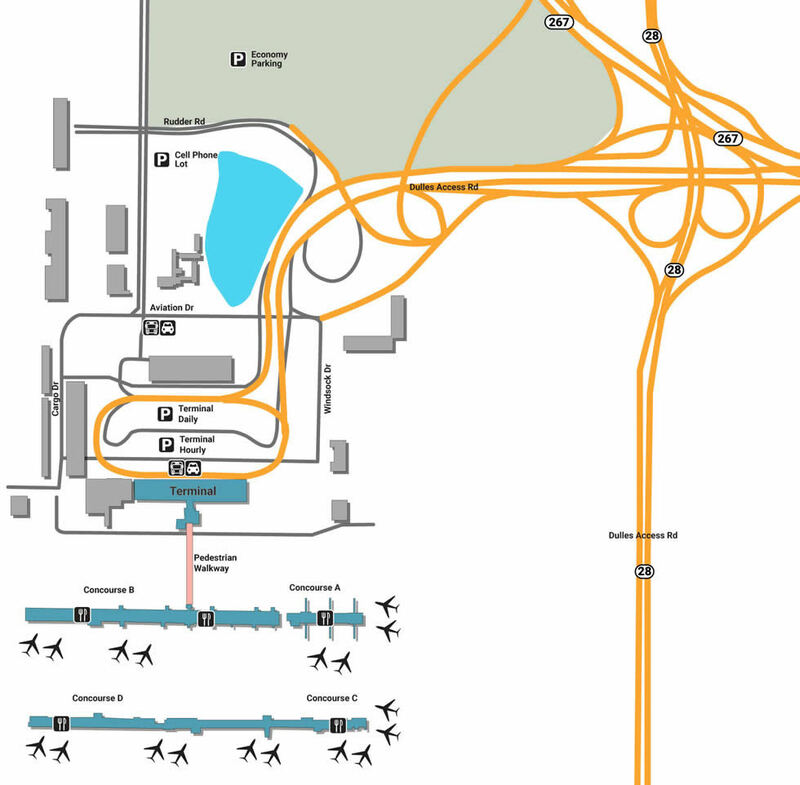 If you are landing at Washington DC Dulles International Airport for the first time you can get a better idea of where you are headed. DC is a powerhouse of important people, rising politicians, and undeniable excitement that can easily be felt as soon as you land at Dulles International Airport. Whether you’re arriving or heading out, the facility is more than welcoming, offering plenty of space for parking, a variety of interesting boutiques and shops, as well as a wide range of restaurants and bars. Instead of dreading every minute, kill time the right way by making the most of what you’ve got. At Dulles International, no reservations are required for the parking lots, every spot available for travelers 365 days a year. There are two garages that almost never get filled, one located at the end of Autopilot Drive and the other to the right along Aviation Drive. Between the two garages are two lots, Terminal Hourly Lot and Terminal Daily Lot - be sure to check rates before committing. If you’re planning on leaving your car for more than a few days, go for the Economy Lot, which offers parking for low rates per day. Whether you’re in need of customer service or want a quick shoeshine, Dulles International has a professional staff that’s always eager to help. Information desks are located all around the airport, including one at Baggage Claim, Gate A15, and Gate D16. If you lost something important, head over to the airport’s Lost & Found, located at Arrivals behind Baggage Claim 2. For businessmen that desire a sharp look before a vital meeting, stop by the Shoe Shine outside of Concourse C for a deluxe polish. If you need to lose a cramp, go in for a quick and relaxing massage at Be Relax Spa (Concourse A), one of the most popular getaways for regular travelers. Whether it’s apparel or electronics, getting handed the news of a delay can easily turn into a positive when you see the variety of interesting shops. Get something cute to match your outfit at the Rhode-Island based jewelry store, Erwin Pearl, located outside of Gate A31, or go big by walking a bit further toward the high-fashion Burberry store. Enjoy some peace and quiet by transporting to another world with one of bluwire noise-cancelling headphones, mobile accessories, and other unique in-flight gadgets. A great way to de-stress is to enjoy the little things, especially if those little things are the toppings at Luv’n Berry’s famous frozen yogurt kiosk, located at Concourse A. For a real meal, walk down the Concourse toward Smashburger for tender, marinated beef as well as the best sweet potato fries you’ll ever have. If you’re in need of a place that’s great for clients while still being delicious, The Kitchen by Wolfgang Puck (A22) has become a mainstay for business travelers looking for upscale scenery.